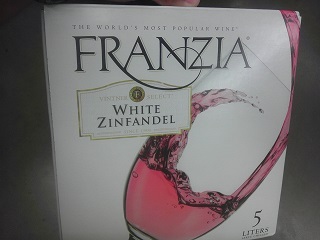 Have tried a number of Franzia's "wine in a box" offerings. 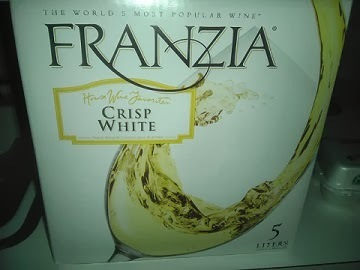 Have been happy so far; this round the two Winos tried a new one - Franzia Crisp White. It has a sweetness to it that both Winos liked. Moreover, the 9% Alcohol Content was good to have especially for the price! This one gets a good rating! 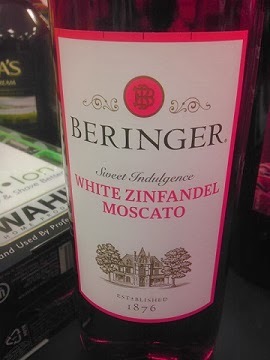 Beringer White Zinfandel Moscato is a favorite of the Winos; just having a tough time to find it. Lucked in a place with several on the shelves.... picked up two... three... bottles. This one gets a GOOD RATING! 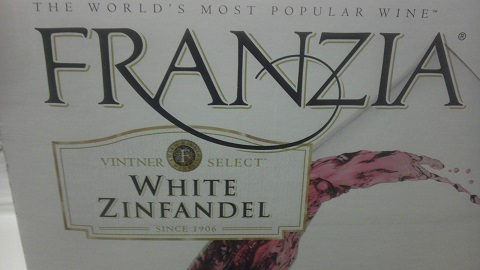 Considered the Winos number one choice for a blended wine! Here is a Funny One We Liked! 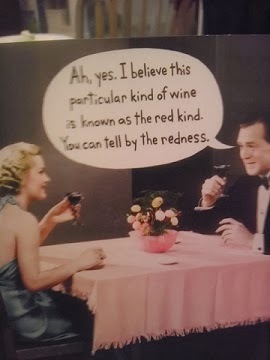 Here is a funny one we liked... sums up the Red Wino's wine tasting abilities! Was having dinner the other week in Gruene, Texas at the Grist Mill. 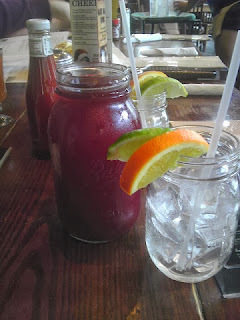 Decided to try their Sangria... tasty, tasty, tasty. It gets a Good Rating from the Winos. Went with a carafe instead of just a glass! Had bought this one before a couple of years ago. 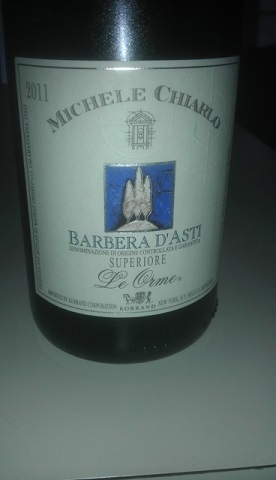 Forgot to post our rating; luckily, bought another bottle yesterday and was able to rate it again. Both Winos agree to purchase it again! Gets a Good Rating. 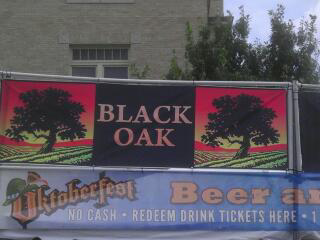 Black Oak Merlot from California gets a Good Rating! 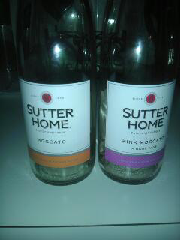 Tasty wine; gonna go back for more! 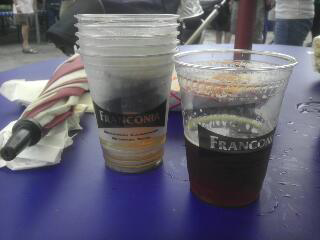 Out and about this Saturday... Having a few Oktoberfest Beers from the Franconia Brewing Company in McKinney, Texas. 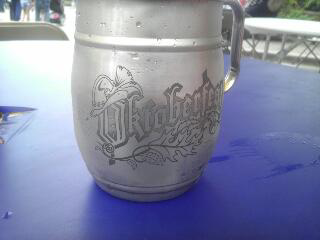 Gotta love the Germans and their beer making! 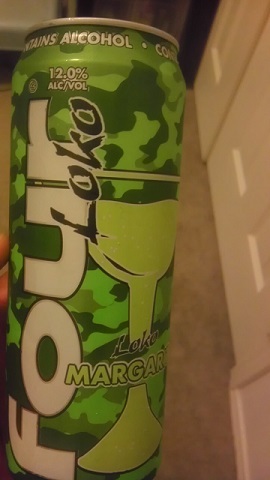 Not wine but no worries... Buzzed and still going! 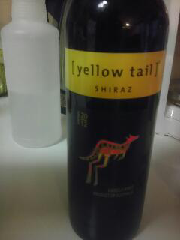 Our favorite Shiraz maintains its Good Rating... Had a glass or two or three. Still is our favorite Shiraz! 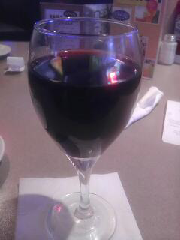 Tried a merlot while in Hot Springs, Arkansas this past weekend. Tasty offering from Robert Mondavi. This one gets a Good Rating. Smooth with no bitterness. Gonna have to find it next time we are at the store. This one rated Good last time we had it. It gets it again from the Winos! Price is right, tastes good, and has a decent alcohol content! 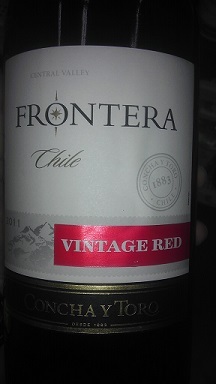 Here is a red wine we liked. 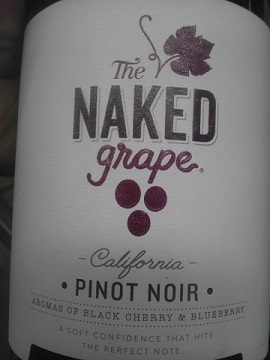 Comes from California's The Naked Grape Winery. With "aromas of black cherry and blueberry", this one easily gets a Good Rating as both Winos agreed to purchase again. Like the price; like the alcohol content, and like the taste! Here is an import from Italy. 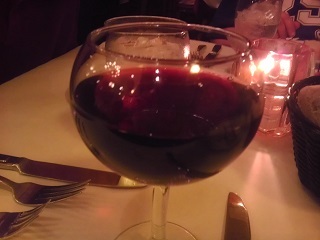 Comes from Reunite... a Sweet Red to be served cold or on ice. Like the price. 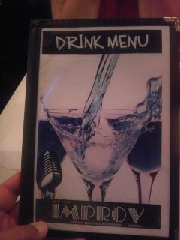 Like the taste. Perfect for a hot Summer afternoon. This one gets a Good Rating. True to our rating system... a Good Rating means we will purchase a wine again. 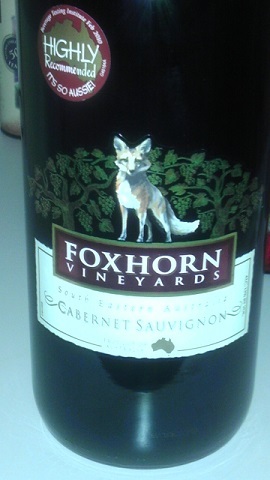 In this case, we rated Foxhorn Vineyards Cabernet Sauvignon as Good the first time we tried it. It gets another Good Rating this round! Here is a new one! First time tasting this Winery's offerings. 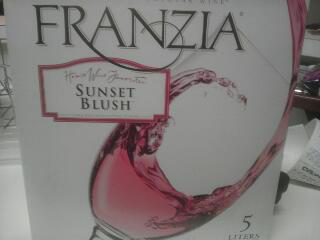 Heard good things about their other wines but this one gets a "Bad Rating". Both Winos agreed not to buy this one again. Had a taste that is hard to describe other than "buyer beware"; save your money and buy something else. 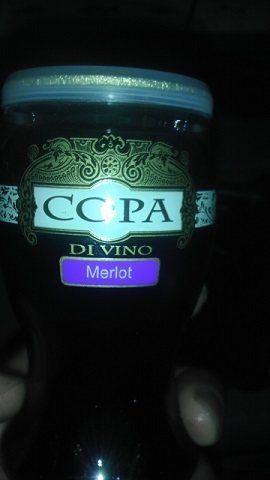 Here is red wine imported from Italy. 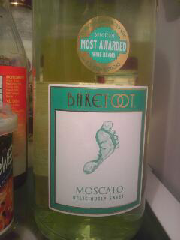 White Wine Wino picked up at the recommendation of the store she was shopping at. 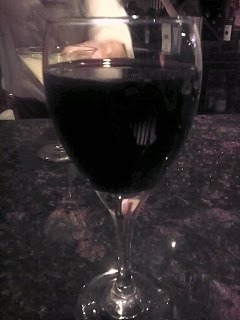 Red Wine Wino liked it! Reminded him of a Chianti. 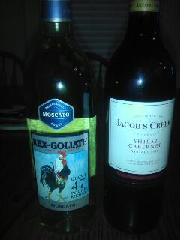 Both Winos agreed to buy again... it gets a Good Rating! Hit a 105 degrees yesterday. 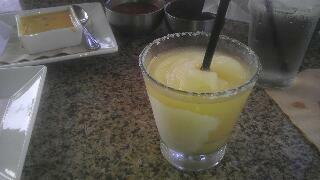 Decided to quench the thirst with our favorite Margarita offered my Gloria's Restaurant. 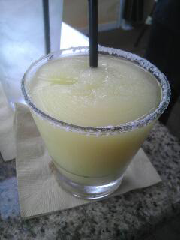 Still is our Number One Choice for a Margarita! Was out and about this past week. Noticed a wine tasting venue at a local market. Heard some live music and saw a pretty lady singing her heart out. So, why not stop for a taste of wine. Ordered their House Red - Ecco Merlot. Tasty wine that the Winos agreed to purchase again, in fact, had several glasses to be sure of course! 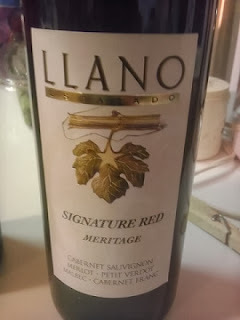 Had this one in the past... the two Winos continue to give it a Good Rating and true to the rating definition, we have purchased it again! Here is one that the Winos have tried in the past. Thought we posted it previously but it looks like that was not the case. 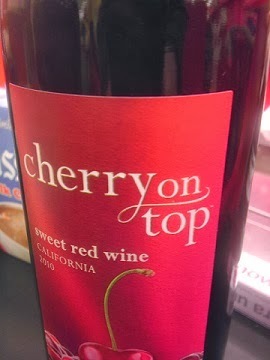 This one gets a "Good Rating" from both Winos. 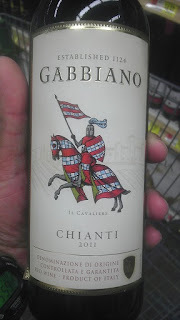 Great taste (but there is some bias as the Red Wine Wino does have a weakness for Chianti), strong alcohol content at 13%, and is reasonably priced in our area, going for less than $7.00! 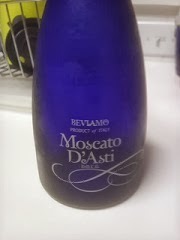 Was happy with their Cabernet Sauvignon, was okay with their Moscato, but both Winos agreed not to buy this one again. White Wine Wino did not like its taste. Red Wine Wino agreed despite a strong alcohol content... this one gets a "Bad Rating" since the Winos don't plan to purchase again. 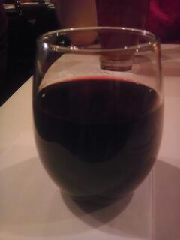 Stay with their Cabernet Sauvignon. 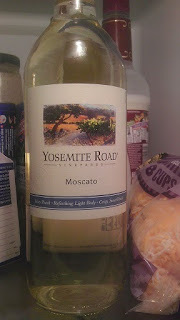 Decided try Yosemite Road Winery's Moscato since we liked their Cabernet Sauvignon. This one did not rate as well. It gets a Neutral Rating; taste was lacking and failed to impress the White Wine Wino. Red Wine Wino would buy it again but that was only because it was cheap. Bought this one on a whim... went for $2.99! Comes from Yosemite Road Vineyard in California. 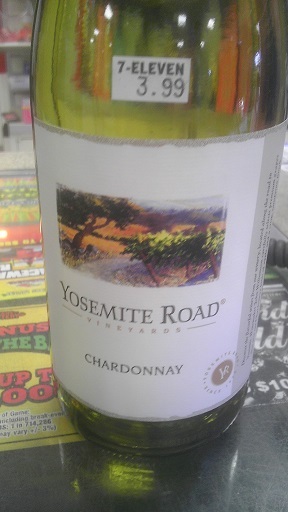 Both Winos agreed to purchase this one again, so it earned a "Good Rating". Moreover, the Red Wine Wino is going to put it out on the line and say it is his "Number One Cabernet Sauvignon"! Why,... great taste, high 12.5% alcohol content, and less than $3.00! Here is a Moscato that comes from Almaden Winery. 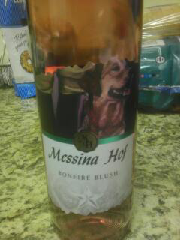 They call it their Heritage Moscato and is offered in 5 liter wine boxes. 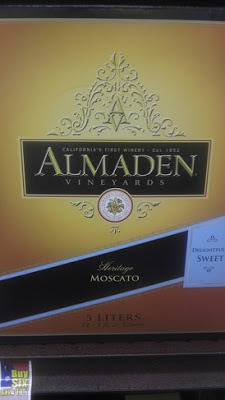 It is a sweet wine much like most Moscatos and comes in at a healthy 11% Alcohol Content. 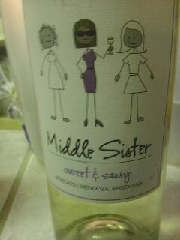 This one gets a good rating as both Winos agreed to purchase again. While coming back from our local lake, decided to stop at a convenience store (Gomez' Convenience Store) in Culeako, Texas for some refreshments. Noticed a single serving wine from CCPA Divino Merlot. 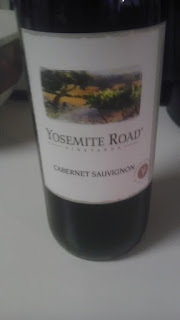 Gave it a try; gets a Good Rating from both Winos. 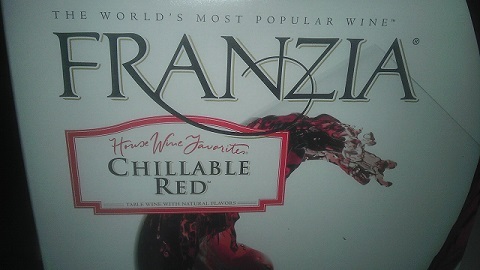 Red Wine Wino liked it even more because of the 13% Alcohol Content! Was out one evening in McKinney, Texas listening to Texas Singer/Songwriter Roger Creager. 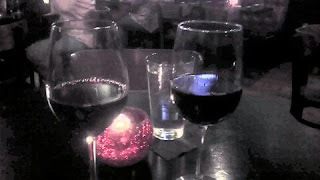 While listening to some great tunes, had a few beers and a little wine. Ordered the House Red. Not sure about the brand but it was good. 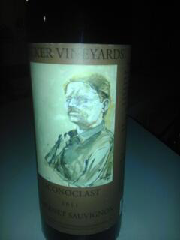 This one gets a Good Rating from the Winos! Here is one that comes from Chile. Offered by Frontera, they call it their Vintage Red. Red Wine Wino was easily persuaded to buy this one again. White Wine Wino had mixed feelings. 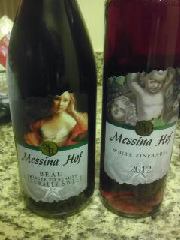 Thought was it's okay but there are better Reds at comparable prices. This one gets a Neutral Rating. "Here at Barefoot, we have a 25 year history of supporting non-profit organizations. 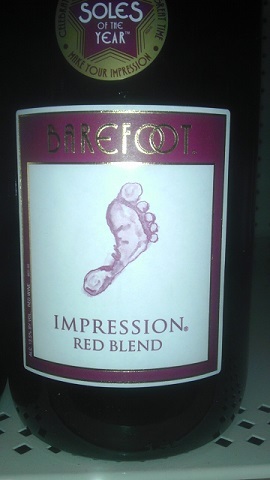 With our Impresssion Red Blend, we celebrate others who are also making an impression in their local communities. Visit us at Barefootwine.com to be inspired by the stories of our Soles of the Year and help us celebrate people doing good. Impression Red Blend had delicious flavors of blackberry and currant, layered with aromas of chocolate and spice." This one gets a Good Rating from the Winos! Not sure how to categorize this one so we are calling it a fortified beer. It has a sour Margarita taste with the hint of beer lurking in the background. Tried it mainly to see how strong it was. 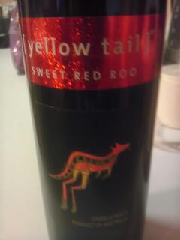 Rated at 12% Alcohol Content, it is definitely strong. This one gets Neutral Rating as the White Wine Wino did not like the sourness. 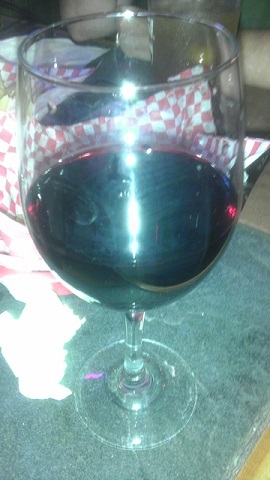 Red Wine Wino was good with it but anything that is strong in alcohol content will get him to but it again. 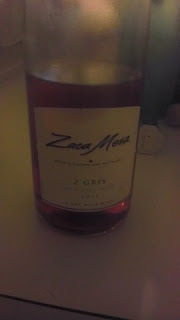 On a White Zinfandel kick for some reason. 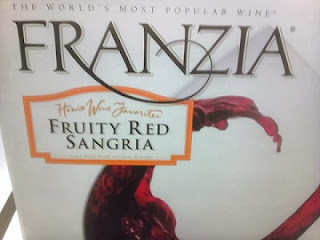 Ended up getting a 5 liter box of Franzia White Zinfandel while filling up at the local 7-11 Convenience Store. This one is a consistent "Good Rating"; even better still comes in at 10% Alcohol Content. While at a wedding last weekend, had a glass of White Zinfandel. 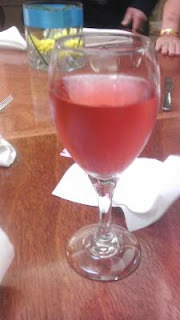 A quick look at the bottle confirmed it was Beringer White Zinfandel. Like before, this one gets a Good Rating!